This article assumes that you have already linked vintrace and Xero and understand the basics of the accounting integration and managing sales orders. 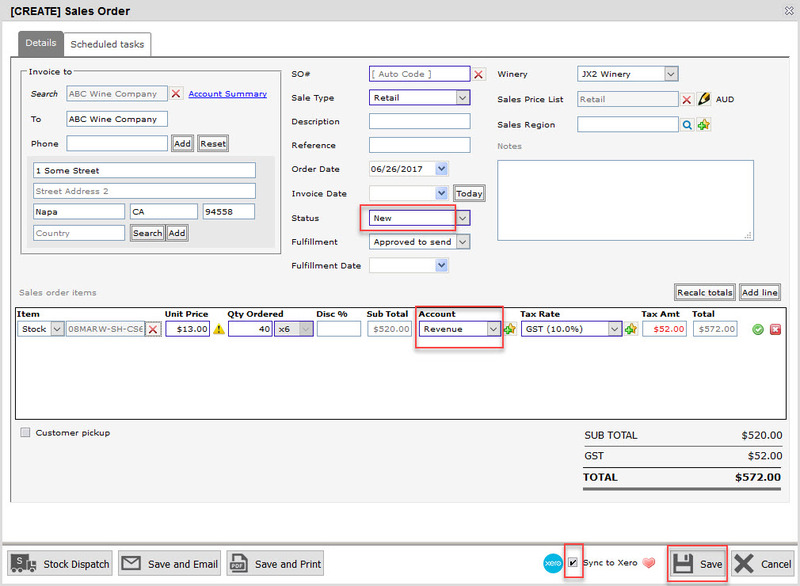 Sales orders created in vintrace, when synced, create an accounts receivable Invoice in Xero. This allows you to manage the debt and any payments for that invoice from within Xero itself from that point forward. Customer information is also sent across to Xero when the invoice is created so the customer does not need to pre-exist in Xero. Important tip: A Sales order with a New status will be created as a Draft Invoice in Xero. Use the Approved status to ensure the invoice is created as an Approved (awaiting payment) invoice in Xero. 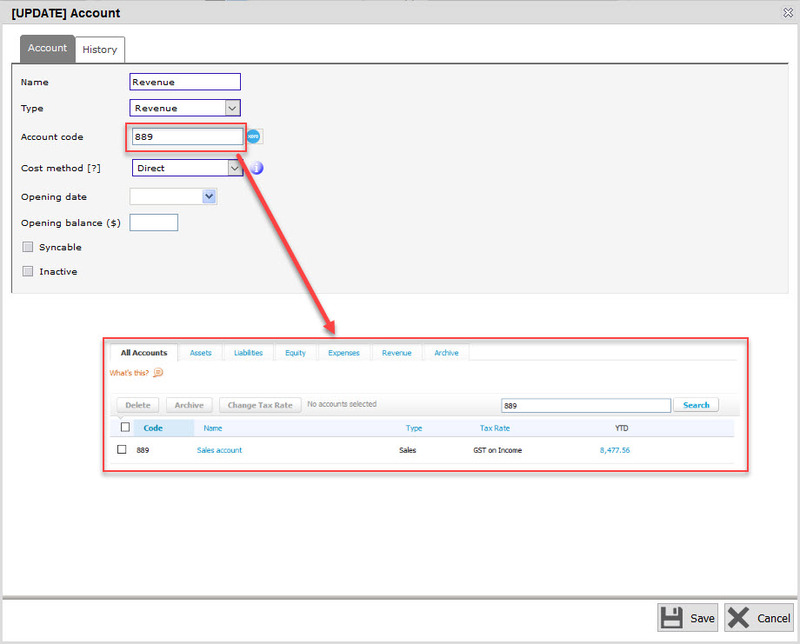 It is important to ensure you have appropriate Revenue accounts configured in vintrace and have these linked to Xero. Accounts, in vintrace, are configured under Winery Setup > Accounts. These Revenue accounts can be defaulted against the individual items you sell or overridden at the time you create the sales order. See this article here. Creating a sales order in vintrace and then syncing the sales order to Xero will create an invoice in Xero with the selected Revenue account and line items. 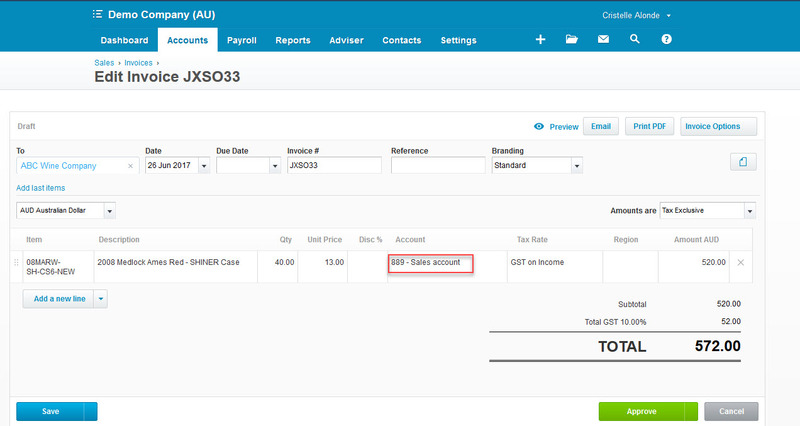 You will need to select the Sync to Xero checkbox before using the Save button for the invoice to be created. You can ensure this option is always selected by using the heart icon to remember it as default. 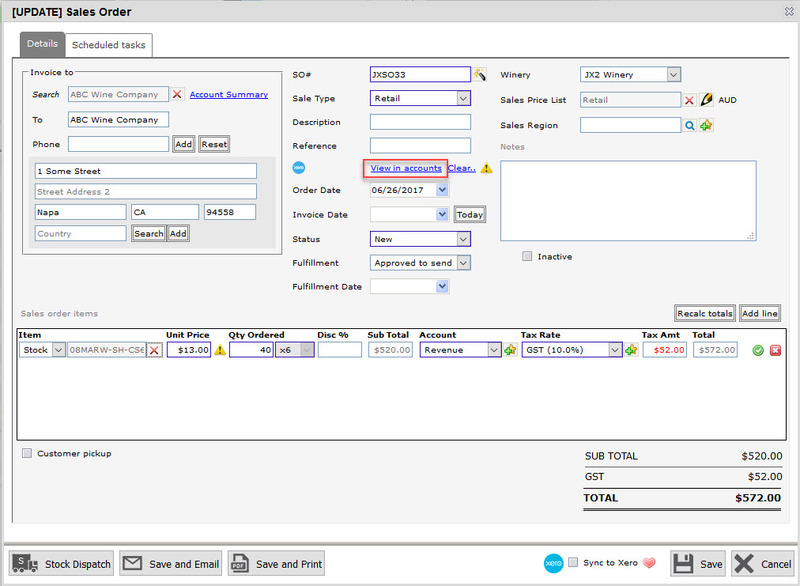 To view the Invoice in Xero, use the View in accounts link on a vintrace sales order once it has been saved and synced. This invoice can now be managed from within Xero for debt collection and payment processing.